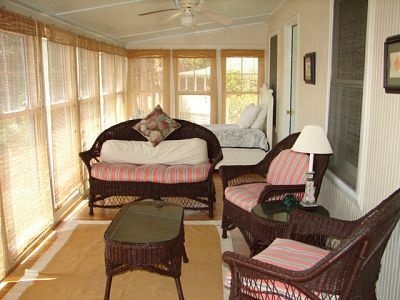 This home is a classic Edisto Beach cottage. 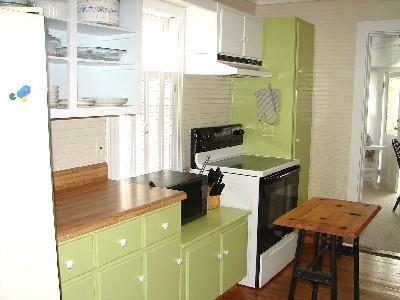 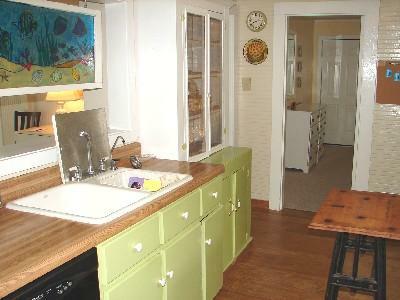 The old fashioned kitchen will remind you of Edisto many years ago. 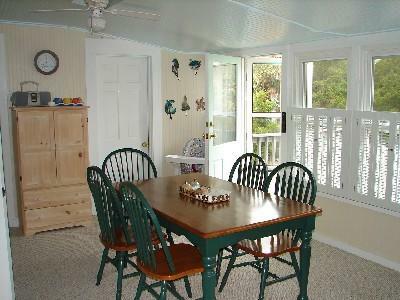 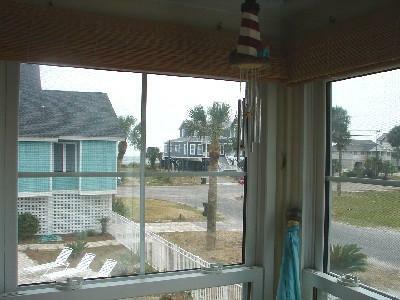 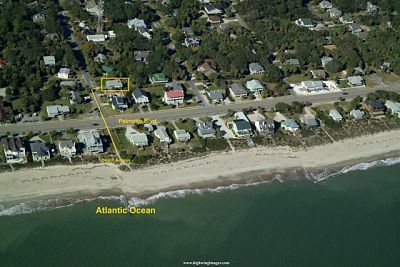 This is the first house on the right when you turn on Chancellor St with an ocean view from the front porch and sun room. 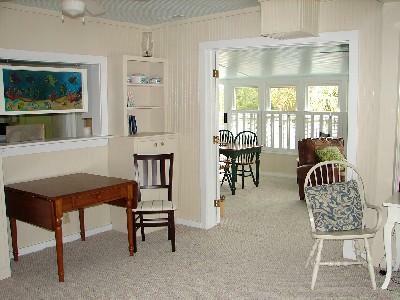 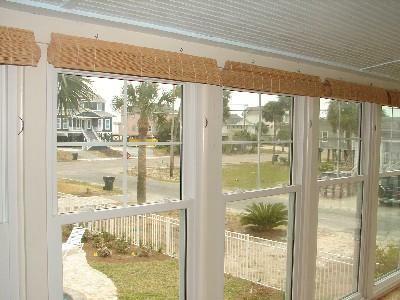 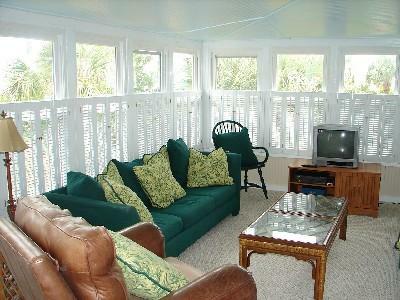 The house has a large glassed in sun room at the front of the house and another at the back (this is the TV area). 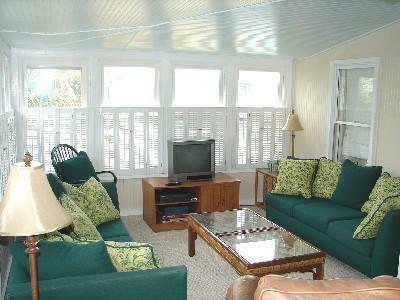 There is also a living room. 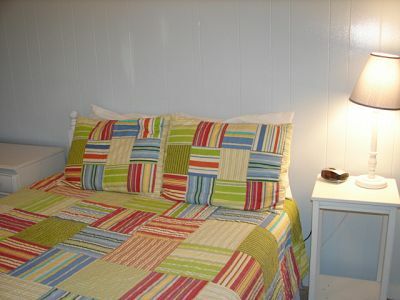 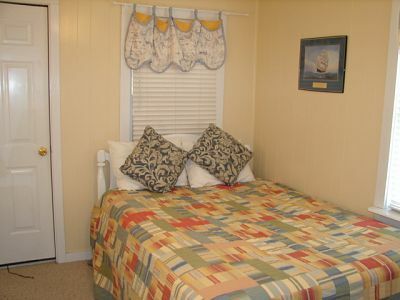 The two bedrooms have queen beds. 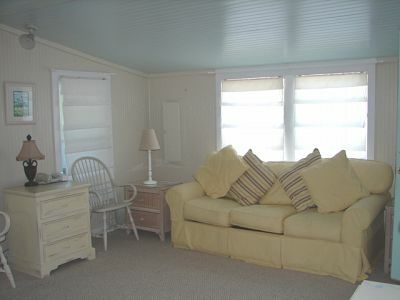 One bedroom with TV. 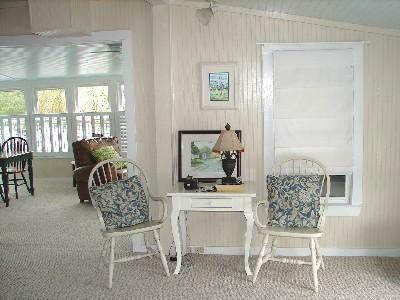 There are 2 bathrooms at the back of the house - one with shower/tub combo the other with only a stall shower. 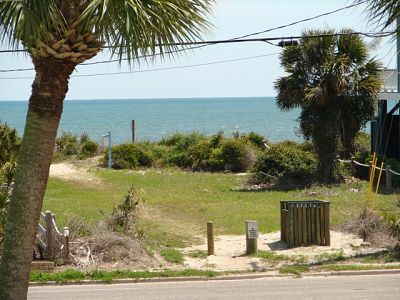 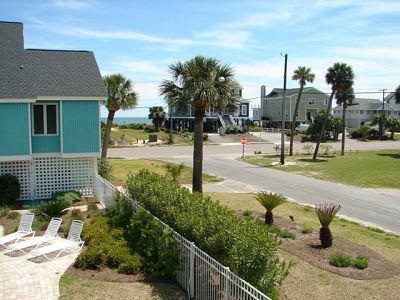 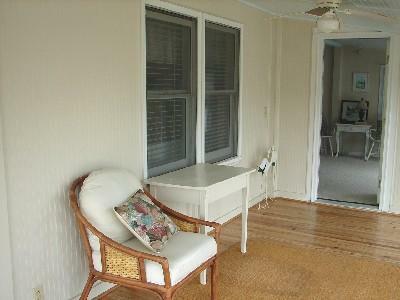 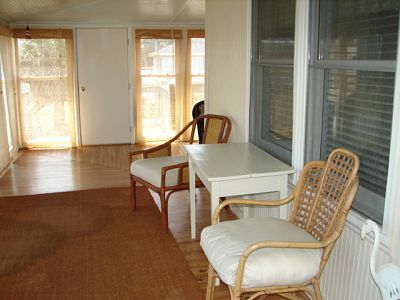 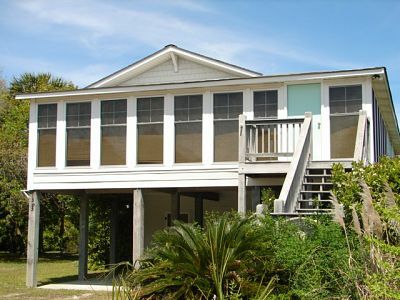 Just steps from the beach with beach access straight across Palmetto Blvd.